I’m a kitchen gadget freak. You name it, I’ve probably got it, had it, or it’s on my want list. 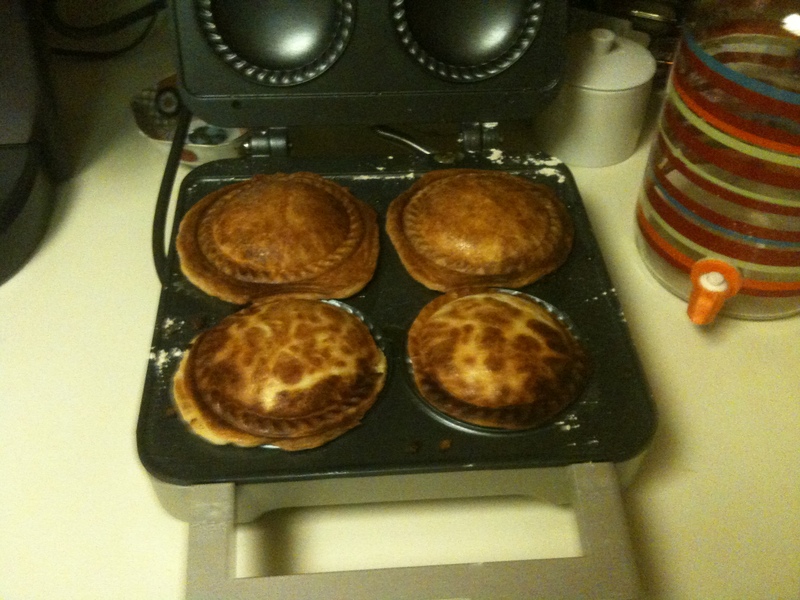 I’ve got a bread machine, an ice cream machine, two deep fat fryers, and I even bought that silly quesadilla maker they came up with a while back. 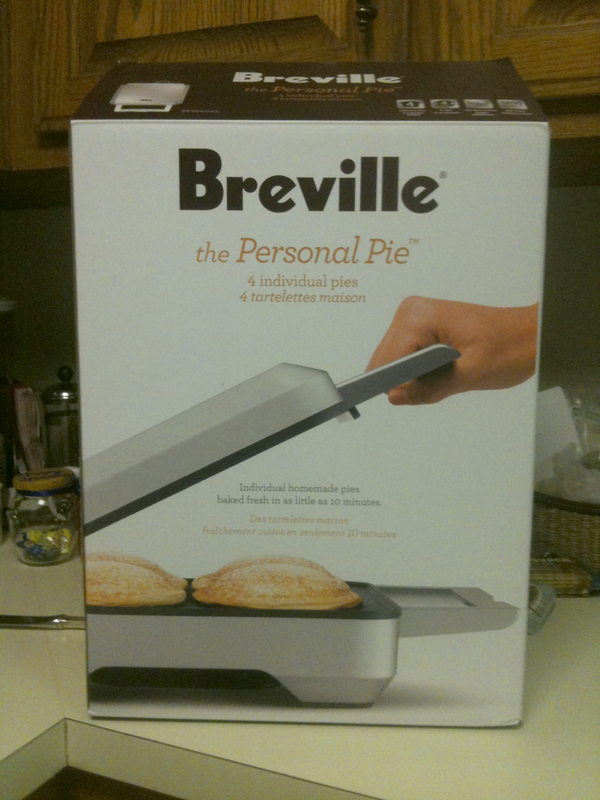 So when Williams-Sonoma started stalking me and my girlfriend Amy with emails about the Breville Pie Maker it quickly went on the MUST HAVE NOW list. My mother was kind enough to oblige. So last night Dave and I decided to give the new toy a whirl. Being a thoroughly modern couple we turned on the iPad (another Christmas gift from Mom. 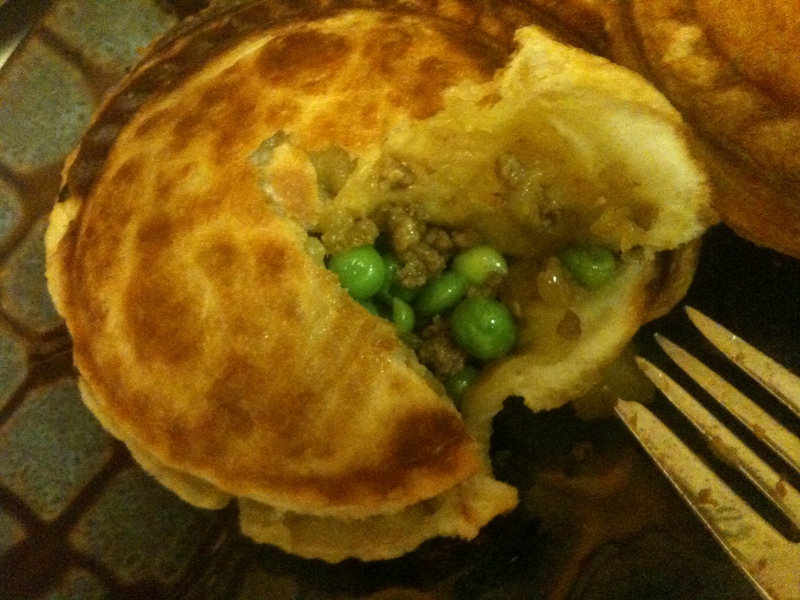 We scored this year) and looked up “Beef Pie” in the Epicurious application. If you’ve not had a chance to take a look at this app – you really should. The food photography will make you hungry. But I digress. We picked the Beef and Curry Pie from the November 2006 Gourmet Magazine. Heat drippings over moderately high heat until hot but not smoking, then add onion and cook, stirring occasionally, until softened, 3 to 5 minutes. 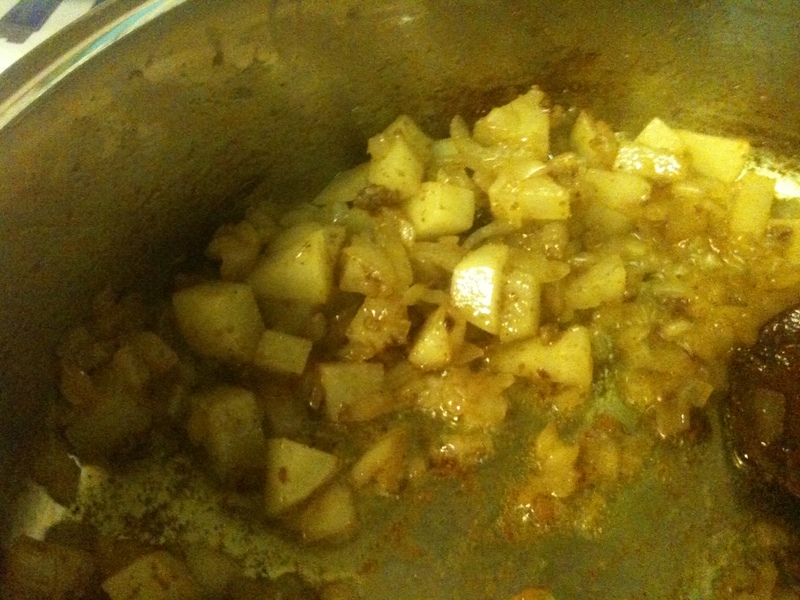 Add curry powder and potatoes and cook, stirring occasionally, until potatoes are translucent, 3 to 5 minutes more. Add water and cook, stirring and scraping up any brown bits from bottom of skillet, until liquid is absorbed and potatoes are tender, about 1 minute. 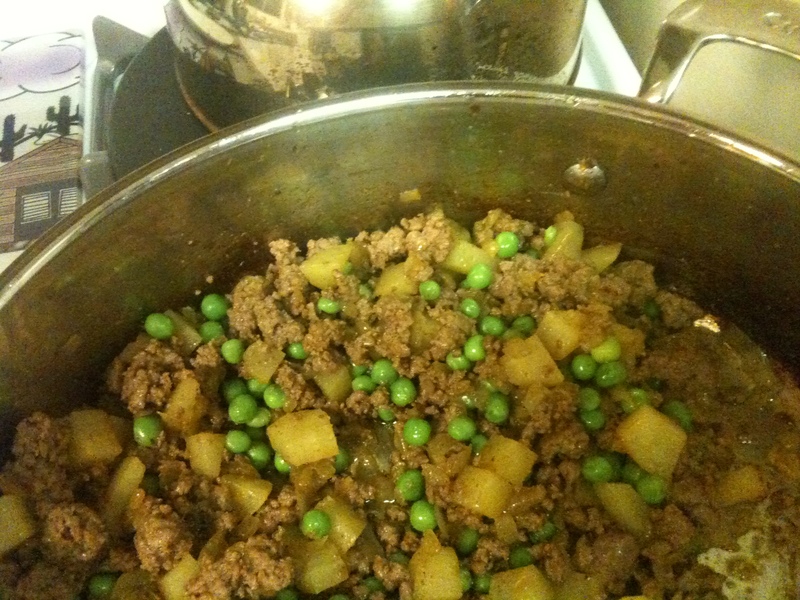 Return beef to skillet and stir in peas, then cool filling, stirring occasionally, about 30 minutes. Next we rolled out the puff pastry on a lightly floured surface. 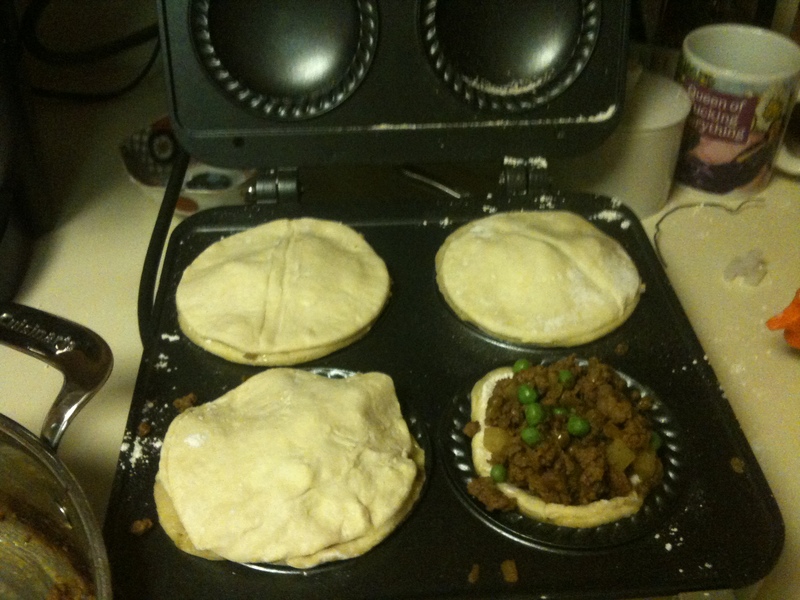 Using the handy cutter that comes with the pie maker, we cut 4 pie bases and 4 pie tops. We turned the pie maker on. By the way, was anyone besides me hot for Lee Pace, The Pie Maker in Pushing Daisies? I’d like to turn him on. Back on target. The book recommended letting it heat through 2 cycles, although I’m not convinced this was necessary and may actually have made the molds too hot. 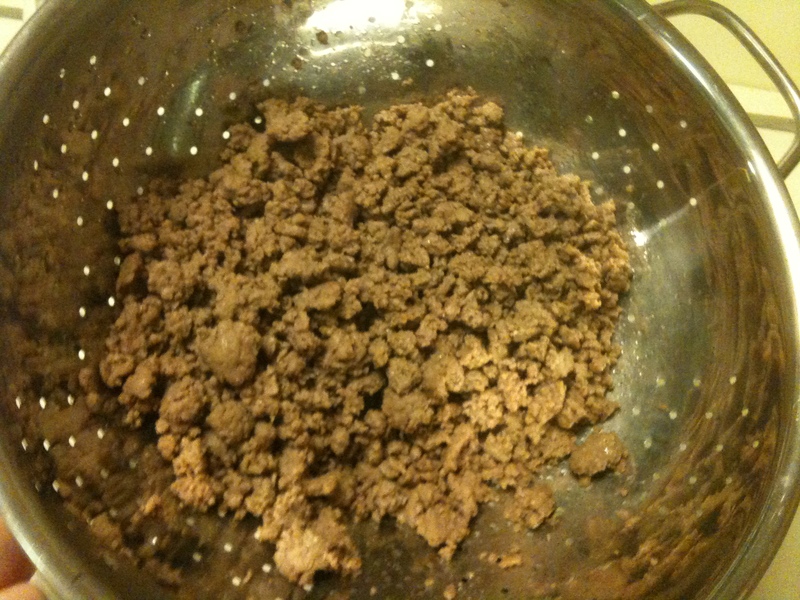 Then we pressed the bases into the molds and filled them with beef. 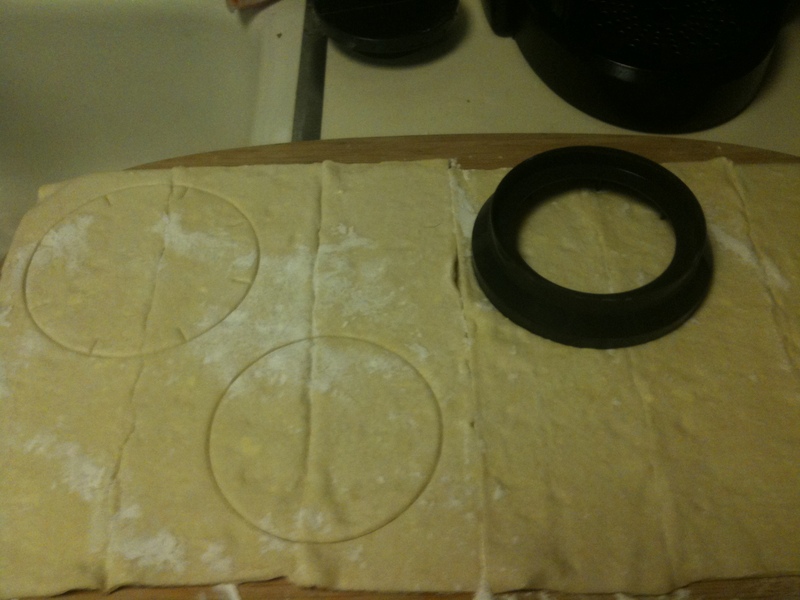 Then placed the top rounds of puff pastry on top. Closed the lid and waited for pie magic to happen. After 8 minutes I popped the lid up et voilà! The book says that for puff pasty you should allow 8-10 minutes of cooking time. I don’t think it could have taken another minute or so without burning, so the tops were slightly underdone in a few spots, but all in all it was cooked through. I’m inclined to think that letting it heat through 2 cycles may be the reason that it was cooking hotter. Oh the wonder of new toys! What next? Hmmmm…. maybe personal cherry pies. It was awesome. Of course. I made it.